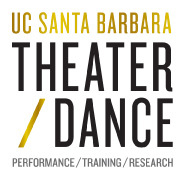 Alenda Y. Chang is an Assistant Professor in Film and Media Studies at UC Santa Barbara. With a multidisciplinary background in biology, literature, and film, she specializes in merging ecocritical theory with the analysis of contemporary media. Her writing has been featured in numerous journals and edited collections, including Interdisciplinary Studies in Literature and Environment, Qui Parle, electronic book review, and Sustainable Media (Routledge). Her current book project develops ecological frameworks for understanding and designing digital games. Along with Professor Laila Shereen Sakr, she is also the co-founder of Wireframe, a collaborative media studio at UCSB that supports critical game design, data-driven global media art and activism, and experimental pedagogy.